Sample 4 of our best selling all-natural lotions with this 4 pc, 8oz set! Beautifully gift wrapped and ready for giving! Opti-MSM mixed with a Whole Food Vitamin C workS synergistically to repair and strengthen cells, tissue, etc. Made in the USA. 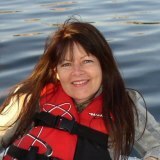 Nourishing the Hair and Skin. 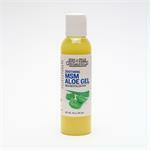 Moisturizes both hair and body with vitamins, herbs and plant extracts while providing added nutrients. 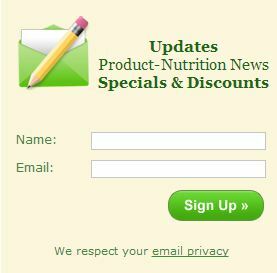 The Nutritional Breakthrough for Arthritis, Allergies, Muscular Pain, Joint Pain, and More. This MSM formula contains Vitamin C, Enzymes, and Antioxidants, which enhances the delivery and bio-availability of the whole product. Our Unscented Pure & Natural MSM Lotion leaves your skin soft, smooth, and non-oily. This lotion can be used as a base for your product. 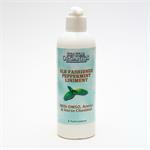 Sun Star Organics Old Fashioned Peppermint Liniment provides soothing relief. All the benefits of our MSM Unscented Lotion, with a sweet blend of all natural Strawberry and Vanilla fragrance. The small molecular structure of coconut oil allows for easy absorption through the skin, giving it a soft, smooth texture. MSM Lotion with Pure Lavender Essential Oil. 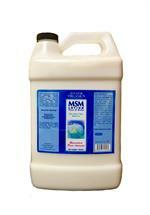 MSM Lotion with high levels of Tea Tree Oil make this lotion powerful for skin conditions. Our Unscented Pure & Natural MSM Lotion leaves your skin soft, smooth, and non-oily. 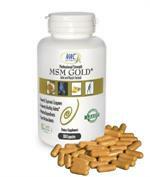 MSM facilitates the exchange of oxygen, carbon dioxide and nutrients, which promotes the healing process. MSM (Methyl Sulfonyl Methane) is a naturally occurring, organically-bound dietary sulfur assisting in multiple functions in the body. Our MSM Spray with OptiMSM is premium, distilled MSM always precisely manufactured in the U.S.A.
MSM facilitates the exchange of oxygen, carbon dioxide and nutrients, which promotes the healing process. Made in the USA. MSM Drops are gentle, soothing, lasting,and all natural. MSM Drops are safe for all topological uses. Made in the USA. OptiMSM is the MSM quality leader, made by the MSM experts and manufactured to more stringent product specifications than any other MSM. Made in the USA. Great for soothing skin. Can also be used topically for pets. 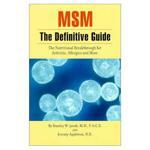 This book explains the benefits of MSM, and how when different ailments it can relieve. MSM Lotion with Essential Oils of Orange and Ylang Ylang.